We want to give a Huge shout out to everyone in St Maurice’s High School in Cumbernauld. 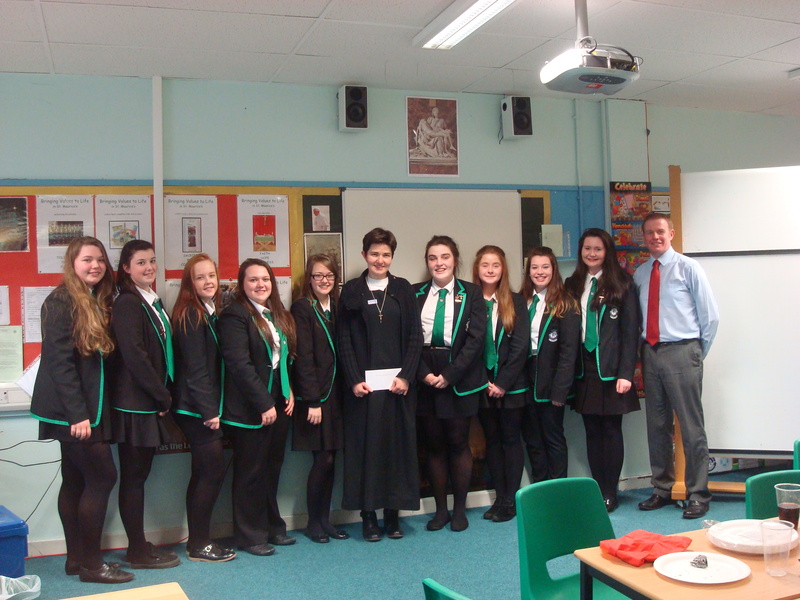 Together with the prolife group, and the school, they raised a whopping £1000 for us! They had a “Wear Purple” day where everyone was invited to wear something purple and donate a £1. Everyone joined in the fun. 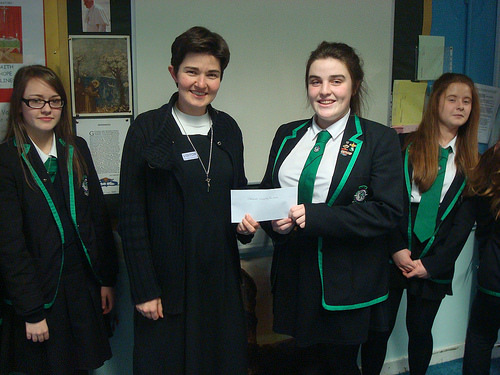 Sr Andrea went along to collect the cheque and meet some S4’s and thank them wholeheartedly for all their work and committment in raising this money which will go towards our work. A special thank you to Paul Madden, who has supported the pupils in their endeavours.